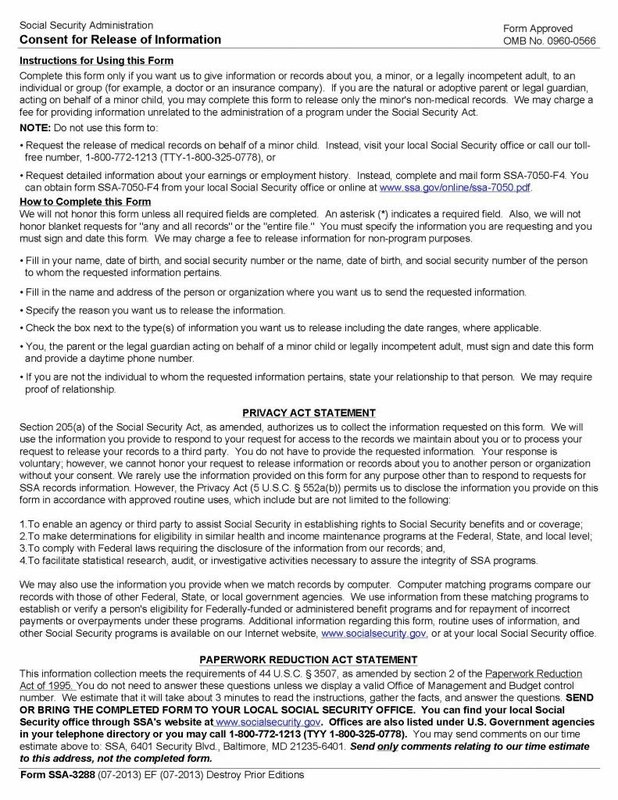 The general consent to release information form is a document that is provided by the Social Security Administration for the purpose of obtaining information from thirds parties (ie: Doctors, Psychologists, Psychiatrist or any other party who may have information pertaining to the applicant. If the person authorizing release of information on behalf of a minor, they must be the natural or adoptive parent or legal guardian, acting on behalf of the minor child, for release the minor’s non-medical records only. The completed form is only acceptable if the person authorizing the information release on behalf of a minor, or a legally incompetent adult, to an individual or group (ie:, a physician or an insurance company). Once the form is completed, it must be taken in person to a local Social Security Office. Locations may be found online at www.socialsecurity,gov or will be listed under U.S Government Agencies in any local telephone directory. 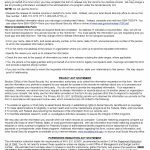 All fields must be completed or the Social Security Administration will not honor the applicant’s request. Fees may apply. Once the document has been downloaded, take the time to read through the first page of the document to ensure a clear understanding of what is expected and what the agency may provide for the applicant.